What do you look for when choosing a pet bird? Find out what to look for from the experts! In these pet podcasts our host and guests discuss choosing a bird to fit your lifestyle, compare pet stores and breeders, and talk about how to keep your bird happy and healthy. Other topics include species of birds, your bird's habitat and which are the best foods to feed your little feathered friend! Find out what common household dangers you need to know about, as well as how to train your pet bird and more. In these fun pet podcasts, you'll find everything from taking your pet bird to the office to tips on what the best perches are to keep your bird's feet from getting tired or damaged. So take a beak, we mean peek at the world of pet birds... only on Pet Life Radio! 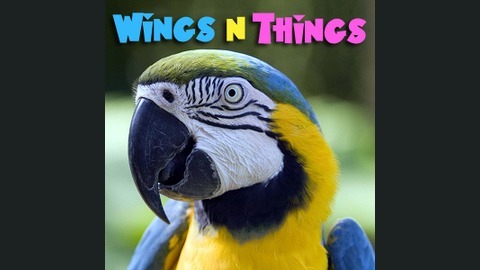 PetLifeRadio.com - Wings 'n Things - Episode 50 Preview of Our New Bird Show, "Bird's Eye View"
If you’re a fan of "Wings ‘n Things" you’re also going to love our brand new bird and parrot show, "Bird’s Eye View" on Pet Life Radio! 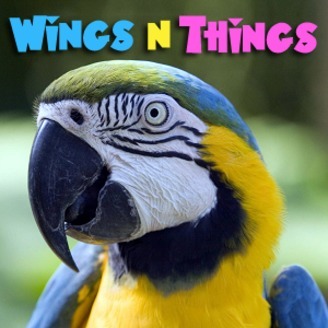 Avian veterinarians Dr. Laurie Hess and Dr. Michelle Ravich discuss more exciting bird and parrot topics in their new show! Listen to our preview, and check out Bird’s Eye View! In this week’s show, our hosts, bird specialist Dr. Laurie Hess and her associate, Dr. Michelle Ravich, will focus on why preventative medical care, including regular annual check-ups, is very important for your bird, just as it is for your other pets. With routine check-ups, veterinarians not only can pick up subtle signs of illness before your bird becomes very sick, but also can discuss with you the latest information on bird nutrition, housing, and other aspects of care so that you are kept as up-to-date as possible on how to keep your bird as healthy as you can. With the proper education, you can help your bird live a longer, happier life.